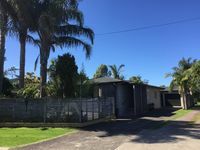 Properties in Waikato average 4.5 out of 5 stars. Property 13: Hidden sanctuary in the city. Walk to everything! Property 23: More than your average Holiday Home! Property 28: Chalet in the Shires, quiet and scenic, good location for events/attractions. 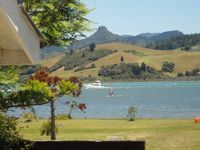 Property 30: Kent Homestay - Peaceful, secluded apartment with water views. Close to town. Property 33: Great place to stay for a special holiday. So close to down town easy access. Property 34: Fisherman's Rest- in Magnificent Mercury Bay. Property 35: New listing. Absolute beach front with great views. Property 47: Tironui. Stunning ocean, harbour and island views. Property 49: Cosy cottage only a short walk to town centre. Easy-care bach. Had everything we needed to enjoy our stay. Great views and location. Warm and cosy. Hot shower. Fantastic communication with owner. Would happily stay here again.